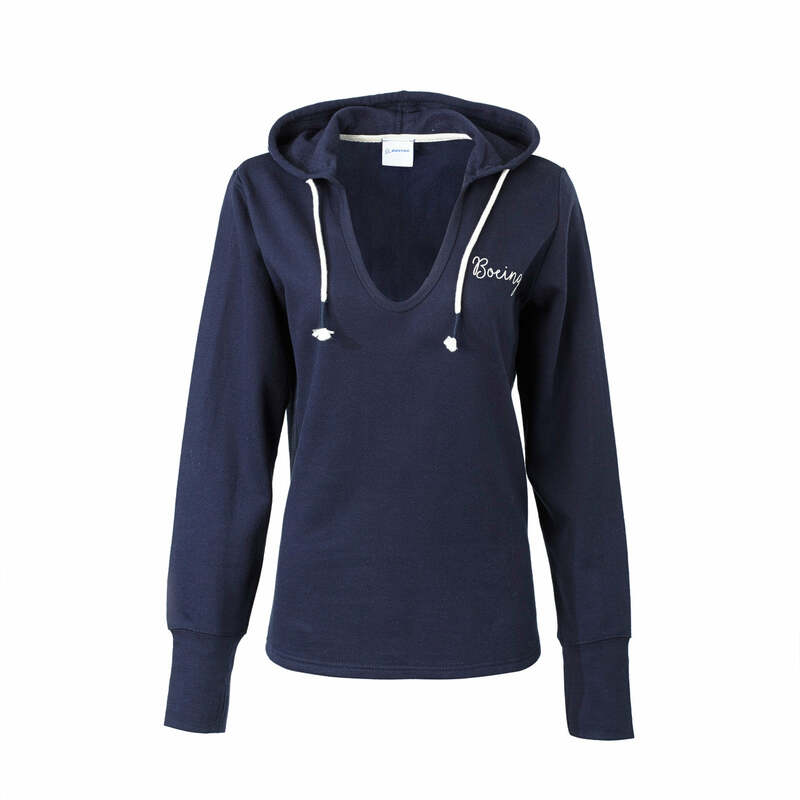 Show off your Boeing pride in this chic and comfortable fleece hoodie -- perfect for yoga class, errands, travel, and more. It’s styled with 60% cotton/40% polyester; a V-neckline; 2N stitching on the hood and curved bottom hemline with a drop tail; ribbed cuffs with off-set thumbholes; decorative wrapped cord ends; and the Boeing script screen printed on the left chest in a natural-colored ink. Navy. Over-hip length. Imported.